What is non-homogenized milk and why should you switch to it? Until recently I was under the assumption that I was getting the best milk for my family by getting organic milk from the grocery store. One fine day we visited a local dairy to see how dairy products are made and how it gets from farm to our fridge. If you moved from another country you would understand what I am saying. Ever wondered why milk back home made all that cream when heated? Why does shelf life of milk be couple of days back home and is months here in United States? 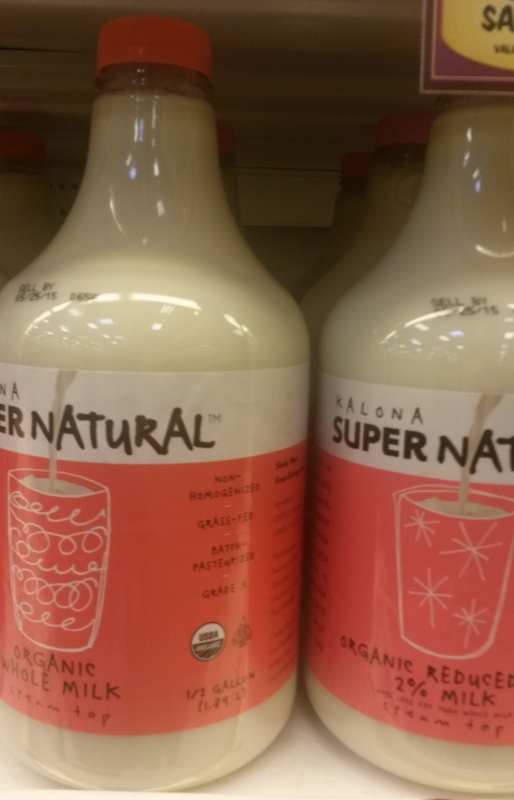 This is how non-homogenized natural milk looks like! Do you see this in your milk? A process called Homogenization was introduced in US in 1932. It breaks apart fat molecules under high pressure, leaving the fat suspended and evenly dispersed throughout the milk. Any guesses why this process became the industry standard? Yes, to market milk to longer distances and increase the shelf life. Why you should not be consuming Homogenized milk? Homogenized milk contributes to heart disease, diabetes and other chronic disorders, as well as allergies, largely by boosting the absorbability of an enzyme in milk called Xanthine Oxidase XO. The higher blood levels of XO has contributed to disease promoting inflammatory processes in our body. Where can you find Non-homogenized milk? What should you be looking for on your milk? which says Non-homogenized like this one. We are so accustomed to homogenized milk that we have forgotten that it is not in its Natural state. Look at the label. Natural state of milk is like oil in water emulsion. If left to sit over time, you will find its fat portion rising to the top of its water portion and forming a cream layer. Non-homogenized milk does not carry bacteria, as it is still pasteurized. Non-homogenized milk doesn’t carry extra fat either. It just doesn’t mess with the fat. Whether these studies are true or not, I just feel more comfortable ingesting fat in a more natural state, the way it first existed. Thank You for the Information, Niti! Was not aware of it. You are welcome, Madhu. It is always good to make informed decision, right? Wow Niti! this blog is awesome. Looking forward to many more! Thanks, Deval. Same here! Looking forward to sharing more!! Thank you Niti for putting out great information in an easy to understand manner. And “Thank you” for introducing me to Raw Non- Homogenized Milk. Truly a huge difference when compared to commercial milk. Love reading your posts.